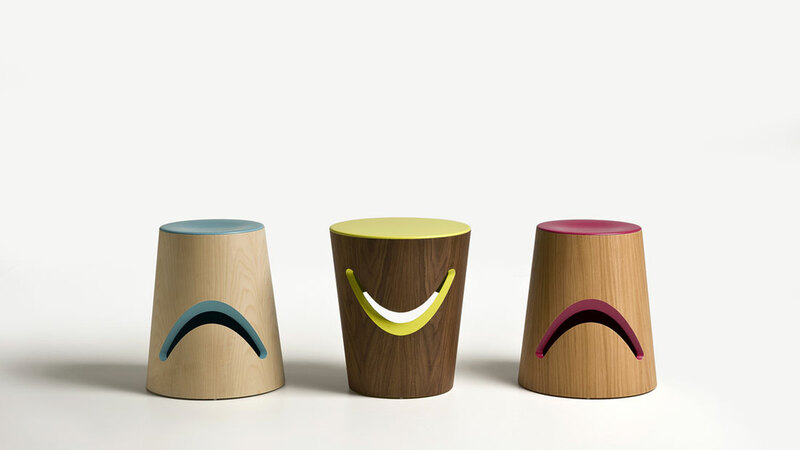 “Happy & Grumpy” is a series of “emotional” stools and low tables. 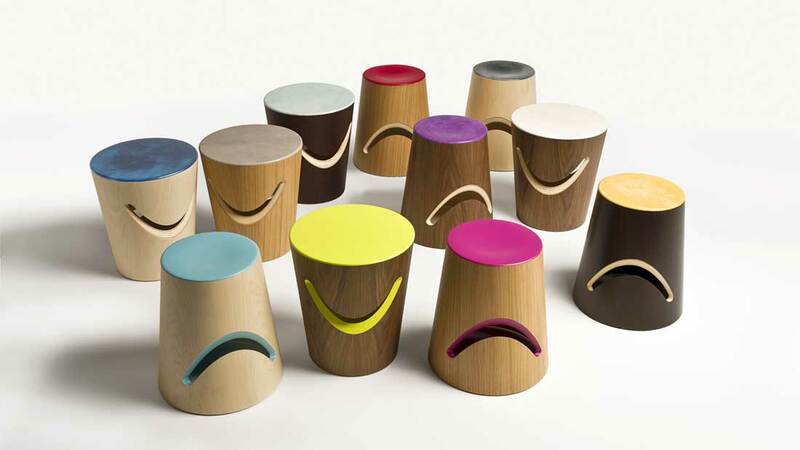 Slots on the side resemble a “Happy Smile” for low tables and a “Grumpy Face” for stools. 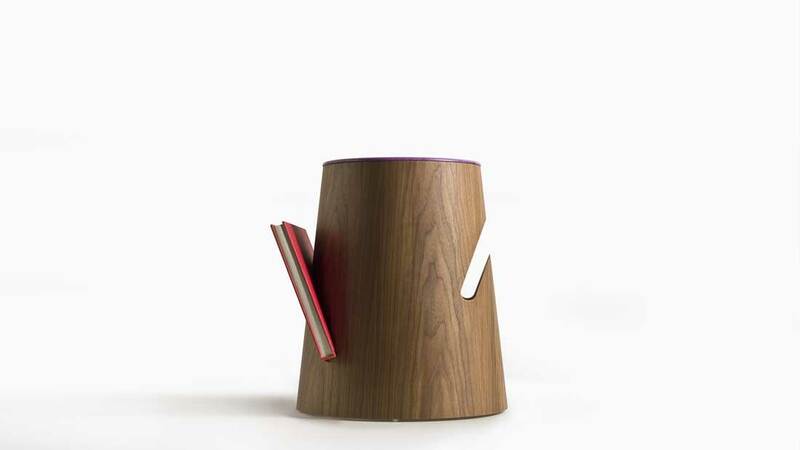 The stools slots also function as a magazine rack. 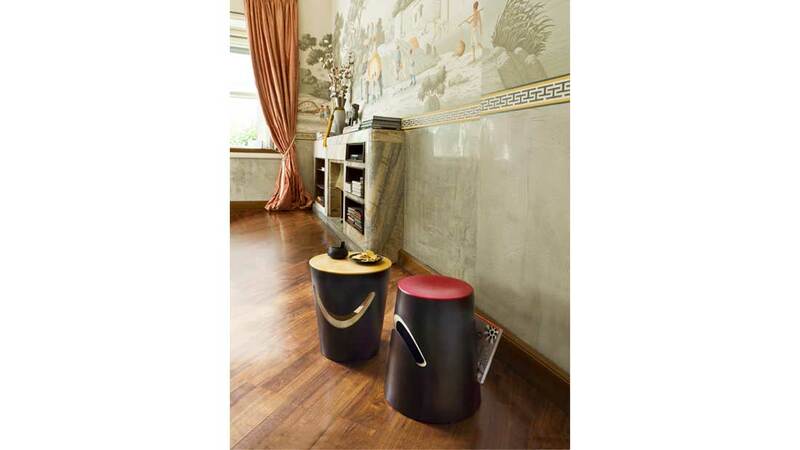 They are customisable with various materials and colours in 2 versions. The wooden cylinder with a precious parchment top becomes an eye catching object in a sophisticated and refined environment. 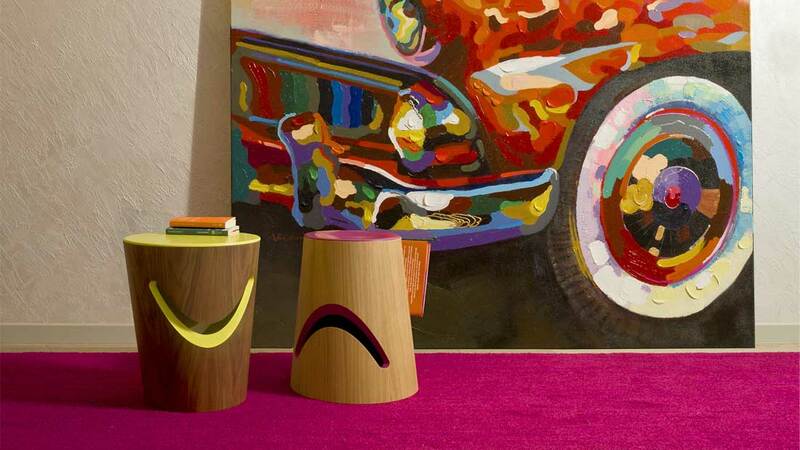 In contrast, the wooden cylinder with coloured top and slots gives more friendly impression and attracts everyone’s attention.